Plates of support on an empty library shelf. Plates of support of keeping Benfleet Library open. On Friday 25th January a number of young people came into Benfleet Library to question the Council Officer present about future plans for South Benfleet Library. Many of them then completed the EEC Survey about the proposed library closures. 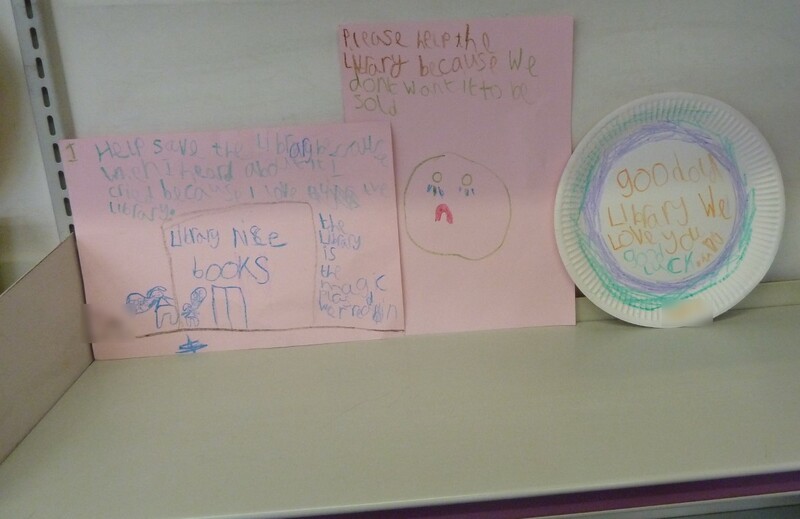 The next morning several of them came back into the library to ask for plates they had prepared overnight in support of keeping Benfleet Library open to be displayed.